Trucking accidents can be some of the most severe accidents that happen. These accidents can lead to serious injuries because large trucks are so much bigger than the average vehicle on the road. 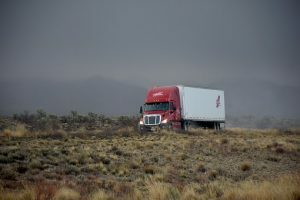 Truckers must do their best to look out for smaller cars, and other drivers must remain cautious when around large vehicles like semi-trucks. A tractor trailer rolled onto its side after impact with another vehicle this morning around dawn. This accident occurred on Route 140 South at Exit 8. Freetown police and other emergency responders received information about this incident and arrived on the scene shortly afterwards. Upon arrival, they discovered that at least one individual had been injured in the accident. It appears this individual was transported to the hospital, but there were no fatalities reported. Freetown Police are still investigating the cause of the crash. No further details were reported. The injuries that resulted from this accident show how serious some trucking accidents can be. Semi-trucks have large blind spots, and they can take a long time to come to a complete stop. These facts must be considered by all drivers on the road, and all people must take caution when behind the wheel to prevent accidents. We urge all drivers in our community to do their part to keep accidents from happening.We at the Law Offices of Jeffrey S. Glassman are members of this community, and we want to raise awareness about the potential consequences of negligent driving. However, we know that accidents can happen suddenly to even the safest drivers, so we are also dedicated to helping victims when they need help so they can heal.